Alt Art is a community driven project, to help young and emerging creative individuals to connect, network and find their own success in the regional art world. The idea behind Alt_Art is to provide a supporting platform to help creatives build relationships and networks, that will help them to achieve success at their own pace. Alt_Art was founded early 2016 by Sarah Jarvis and Xelious Darlowin. A number of members have participated but has always been based under the guiding light of Joh Lyons and The VRI which is a project of Traralgon Neighbourhood Learning House Inc.
Alt_Art is inclusive and accepts everyone for who they are, background, style and skill. PollyannaR is fast developing a reputation as one of Australia’s top up coming photographers with her revolutionary approach of photographing her subjects void of context and creating the world longest photographs. Her minimalistic line them up shoot them down black and white style, cuts through the clutter of modern day photography taking it back to its roots. A record of that person in time. Having worked passionately and actively in the local arts scene over the last 10 years Steph Shields, has had the opportunity to engage with the creative individuals, groups and institutions that make meaningful contributions to the arts. Steph says "I have felt at times there to be or is a lack of synergy between those entities, I feel that Alt_Art has the energy and capacity to forge these connections and look toward, creating a cohesive arts culture that looks toward our creative futures in the Latrobe Valley and reaching out to the rest of Gippsland!" Xelious founded Alt_Art by following his instinct and reaching out. He courageously contacted The VRI to see if it was a place for his work. He had spent some years trapped, whilst producing a vision for his expression. He had developed a series of drawings, 42 in fact! When he shared his work with The VRI community, it responded by making a space. This initial outreach has led him on a journey of building a community to share the opportunity he had received with others like himself. Xelious says "I want to see the Arts in the area brought back, reinvigorated and revitalised, there is so much hidden talent in the area that is just lost or missed because of the big wide world and all its bits and pieces. I'd like to uncover that." 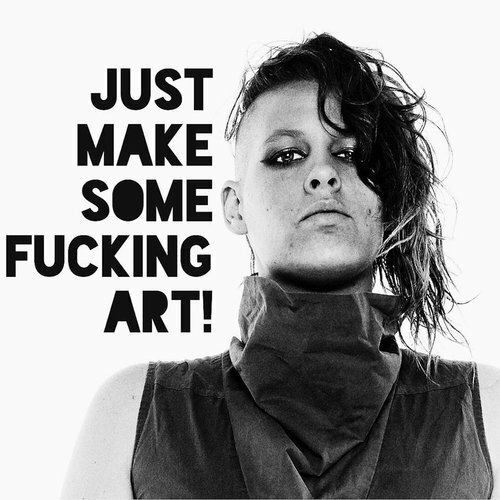 Sarah founded Alt_Art by following his instinct and reaching out. He courageously contacted The VRI to see if it was a place for his work. He had spent some years trapped, whilst producing a vision for his expression. He had developed a series of drawings, 42 in fact! When he shared his work with The VRI community, it responded by making a space. This initial outreach has led him on a journey of building a community to share the opportunity he had received with others like himself. Sarah says "I want to see the Arts in the area brought back, reinvigorated and revitalised, there is so much hidden talent in the area that is just lost or missed because of the big wide world and all its bits and pieces. I'd like to uncover that." Sign up for the Alt_Art Mail Out! Get in the know, while on the go! Alternative Art Space. Supporting local, home grown artists across Gippsland.